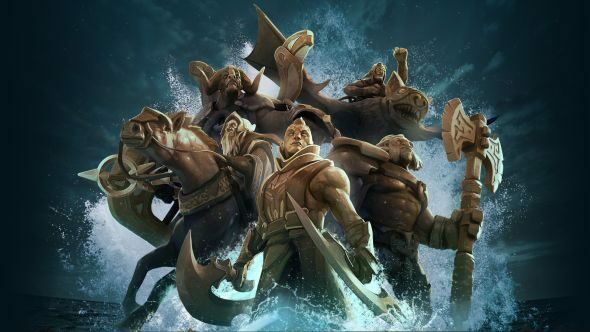 Dota 2 is getting its usual pre-tournament tweaks ahead of August’s The International, the largest and most prestigious Dota 2 event and the esports equivelent of a get-rich-quick scheme with the slight bonus of actually paying off for everyone involved. Patch 7.06e will likely be the last set of major changes before it all kicks off next month, and it’s an even balance of buffs and nerfs across items and heroes, as well as a meaningful change to jungle earnings. Here’s everything that’s happened with Dota 2 updates recently. I’ll leave it to the experts among you to figure out exactly how this changes the meta, though clearly jungling is improved and we might not see Nightstalker every single game now. Common patch analysis hub Kevin ‘Purge’ Godec is currently attending a wedding, but expect the normal hour-plus thoughts from him once he can sit down at a computer. The patch will see its first bit of major competitive play as part of the Mars Dota 2 League this week. Many of the teams competing were direct invites or easy qualification winners for TI7, so expect them to shape the meta going forward. Chances are after that – or even during – there will be further small tweaks, so keep an eye out. TI7 itself is now ready to go, with all the teams decided. Oddly, there’s no date yet set for group games to begin, but expect it in the latter half of July.